If you’re looking for a casual, breezy carpet style that also delivers workhorse performance, the classic Berber carpet is one option to consider. This carpet gets its name from the Berber people of Northern Africa, who wove loop textiles featuring knots, natural colors and textiles with flecks of color. Berber carpeting is made from loops that are attached to a carpet backing. The loops remain uncut, and thus the carpet takes on a distinctive low and tightly-woven look. While Berber carpeting is traditionally made in neutral colors that contain specks of darker colors, today it’s possible to buy Berber in a range of hues. Berber carpets are one of the most popular carpet styles for many reasons. They handle high traffic areas very well, which makes them a popular choice for anything from home offices to bedrooms, living rooms, hallways, workout rooms and more. Berber carpets are also affordable when compared with many other flooring options. These carpets tend to be made from cost-effective olefin fiber. Since manufacturers do not need to cut the loops, they can save on labor and processing, resulting in a more affordable product. For high-traffic areas, Berber carpeting is also great because it is easy to clean. Since it is a looped carpet, spills tend not to sink into the carpet quickly, which gives you a chance to clean up. This is one reason why even paler-color Berber carpets are a popular choice. Unlike softer cut pile carpets, Berbers do not show vacuum marks and tend to look great after just a quick sweep. Many carpets of this style also have small flecks in them, which can further help camouflage any stains. Today’s styles also include soft-fiber carpets, and these options are much softer than traditional Berber styles. This is one reason why Berber carpeting has become more popular, even in bedrooms and rooms where soft carpeting is a must. Quality is a must when it comes to Berber carpeting. You will want to look for a quality product that will last, feel great under your feet and resist running and snagging. If you want terrific Berber carpets at an exemptional price without having to drive all over town, contact 50 Floor. 50 Floor has a seasoned team of flooring specialists and a range of carpeting and Berber options. Best of all, we bring the carpet to you, so you can try it in the comfort of your own home, with your home’s lighting and décor to ensure a perfect fit. Our clients also appreciate our low prices and outstanding service. 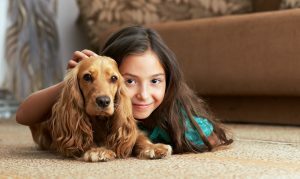 Many homeowners have told us we make carpet purchasing pleasant and cost-effective for them. Once you schedule your free appointment and choose a carpet, we can handle installation and all the steps needed to ensure you enjoy your new carpet fast. Schedule your free flooring appointment with 50 Floor today to experience the 50 Floor difference for yourself.